This cross stitch stamped sampler features four Folk Art designs and each fits a 5" Frame. 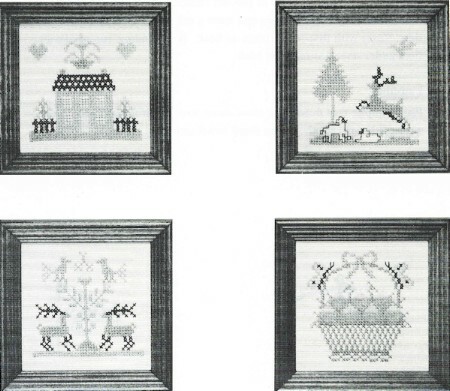 Each small printed cross stitch sampler displays a folk design that is typical of folk samplers,such as leaping deer, sheep, house with a motif and a charming fruit basket. These small samplers can be made into pillows or framed individually.